National Collegiate Student Loan Trust's student loans may be uncollectible against California co-signers: Sweet! National Collegiate Student Loan Trust (NCSL)has been in the news lately. The New York Times recently broke a story about NCSL's efforts to collect on the defaulted student loans it holds. According to the Times, NCSL holds $12 billion in private student loans, and more than 40 percent of those loans ($5 billion) is in default. Squadrons of NCSL attorneys have fanned out across the United States to sue student-loan defaulters, but they have been running into trouble. In case after case, judges have thrown NCSL's collection lawsuits out of court because NCSL can't produce the paperwork to show that it owns the debt. And now, in California, NCSL faces another obstacle to its debt-collection efforts. An obscure California statute may make it impossible for NCSL to collect against co-signers on private student loans taken out in the Golden State. You may have to pay the full amount of the debt if the borrower does not pay. You may also have to pay late fees or collection costs, which increases this amount. The creditor can collect this debt from you without first trying to collect from the borrower. The creditor can use the same collection methods against you that can be used against the borrower, such as suing you, garnishing your wages, etc. If this debt is ever in default, that fact may become part of your credit record. Importantly, California law requires co-signers to acknowledge receipt of the statutory warning by signing their names below the cautionary message. National Collegiate Student Loan Trust requires most of its student borrowers to obtain co-signers on their loans; and reportedly, most NCSL loans do not contain the California statutory warning. The combination of missing documents and the California co-signer statute may make it virtually impossible for NCSL to collect on defaulted student loans in California. Moreover, when NCSL borrowers in California find out that their student loans may be uncollectible, it seems inevitable that more of them will default. Of course no one should encourage a solvent debtor to welsh on a lawful debt. People who took out private loans held by NCSL should pay them back if they have the ability to do so. But the banks made it virtually impossible for destitute private student-loan borrowers to discharge their private college loans in bankruptcy when they lobbied Congress to pass the so-called Bankruptcy Reform Act of 2005. Now, at least, hard pressed student-loan defaulters have some defenses if they get sued by NCSL--particularly in California. I am grateful to Steve Rhode for alerting me to this important development. Mr. Rhode wrote on this issue in the Get Out of Debt Guy blog site. I'm also grateful to California attorney Christine Kingston for calling Steve's attention to the California co-signer statute and its significance for student-loan debtors. Stacy Cowley and Jessica Silver-Greenberg. As Paperwork Goes Missing, Private Student Loan Debts May Be Wiped Away. New York Times, July 17, 2017. Steve Rhode. California Student Loan Co-Signer Statute Helps to Kill Student Loan Debt. Get Out of Debt Guy, July 25, 2017. The Association of American Law Schools recently announced that it is boycotting Texas and moving its 2018 conference on clinical legal education from Austin to Chicago. Why? The AALS is displeased with a couple of statutes passed recently by the Texas Legislature. I have a few comments to make about the AALS's fatuous tantrum against Texas. First, AALS's action is a gratuitous insult to a state with a long history of progressive government and tolerance. As I said in an earlier blog, Texas is the nation's second largest economy; and its population is booming because the state offers jobs, relatively inexpensive housing, and decent public schools. It has one of the finest state universities in the United States, and it is sheltering literally millions of immigrants from all over the world. It was Texas, after all, that accepted a quarter of a million refugees from South Louisiana after Hurricane Katrina devastated New Orleans in 2005. Houston alone absorbed 150,000 Katrina victims; and the city did it with a smile and a howdy. Illinois, on the other hand, where the AALS is moving its clinical legal education conference, is a basket case.According to the Chicago Tribune, Illinois has lost more population than any other state for the last three years in a row. Illinois' financial affairs are in shambles; its property taxes are outrageously high, and the state has billions of dollars in pension obligations that it will never repay. In short, Illinois is looking less and less like a state and more and more like a banana republic. And Chicago, where the AALS's 2018 CLE conference will take place, is one of the most dangerous cities in America--more than 2,000 shooting victims this year and almost 400 murders! And the year's still young. Second, the AALS has joined a pernicious trend that the state of California has made fashionable. California now bans state-funded travel to eight American states--including Texas. Where will this end? Is America going to collapse into a loose affiliation of warring political entities like the Italian city states of medieval Europe? Finally, AALS's condescending attitude toward Texas seems singularly inappropriate in light of the shameful way American law schools have behaved over the last 20 years. Year after year, the law schools have brazenly raised their tuition rates even while the market for new lawyers has collapsed. The law schools have drastically lowered admissions criteria in order to keep their enrollments up, and some law schools have standards so low that half their students are in danger of failing the state bar exam. American law school graduates now hit the job market with an average debt load of $140,000; and a significant percentage of the ones who graduate from bottom-tier law schools fail the bar. In fact, Southern Illinois University's law school, in the state where the AALS will squat for its 2018 legal education conference, is near the bottom of the barrel. According to Law School Transparency, LSAT scores for SIU's 2014 cohort are so low that 25 percent of the graduates from that cohort are at EXTREME RISK of failing the bar. Cost to attend SIU Law School: $145,000. USI's 2015 bar pass rate: about 70 percent. Do you think the AALS nabobs will be talking about their own moral crisis at their conference in Chicago? Not bloody likely. So here's some friendly advice to all you self-righteous prigs who enjoy thumbing your noses at the Lone Star State. Be nice to the Texans, because when the national economy collapses--and it will collapse--it will be Texas that rises most quickly from the rubble; and you might be looking for a job in the state you now despise. And after we sack Pisa let's boycott Texas. Elyssa Cherney and Elvia Malagon. Nearing 400, homicides in Chicago continue to outpace last year. Chicago Tribune, July 24, 2017. Marwa Eltagouri. Illinois loses more residents in 2016 than any other state. Chicago Tribune, December 21, 2016. Richard Fossey. 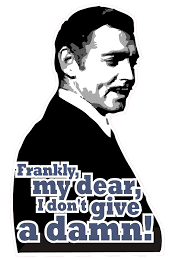 California bans state-funded travel to Texas: Frankly, my dear, Texans don't give a damn. Condemned to Debt, June 27, 2017. Nick Roli. Law School Group Ditches Texas Conference. Inside Higher Ed, July 24, 2017. The House Budget Committee has just rolled out a first pass at a new federal budget titled Building a Better America. People dealing with student loans had better start thinking quickly and clearly if their political ideology is more important than the future of student loan debtors. Here are a couple of choice sections. It would appear the argument is the government wants to get out of the student loan market and drive more people to private student loans which don’t have any of the payment options, forgiveness programs, or helpful options federal loans have. While the budget may recommend fair value accounting, the Department of Education is busy trying to gut regulations protecting students from underperforming schools which lead to failed educations and problem debt. The administration can’t have it both ways. I get the philosophy of returning more responsibility to the states but won’t this just create an inequity in the ability of individuals to plan for education when there may be a patchwork of education initiatives by state instead of one federal regulation when it comes to student loan and education issues? While it is possible that some changes could be made in the loan options, forgiveness programs, and repayment options, the key question here in a budget that is poised to trim costs is what will be cut and eliminated? The administration has already indicated they would like to like to change income driven repayment programs to make them shorter but have higher monthly payments. The Trump administration also would like to make wholesale changes or eliminate forgiveness programs like the Public Service Loan Forgiveness program. I’d love to hear your opinion. Do you think the changes proposed in this budget will help to make American education great again? Post your comments below. This essay by Steve Rhode first appeared in Get Out of Debt Guy on July 18, 2017. To learn more about Steve Rhode, click here. Grambling State University graduates have highest average student-debt load in the United States: $51,887! 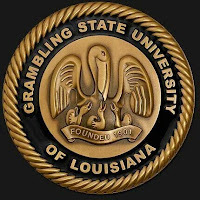 Grambling State University, a public HBCU located in rural Louisiana, is not known for much, but it does have this distinction: In 2015, GSU's graduates had the highest average student-loan debt of any university in the United States: $51,887! On average, Grambling graduates leave school with more debt than Harvard or Yale graduates. In fact, Grambling students graduate with a higher debt load than people graduating from more than 1,000 other colleges. How could this be? GSU's tuition is relatively modest; according to U.S New & World Report, Grambling's tuition is only about $7,000 for the 2016-2017 academic year. And its students get a lot of needs-based financial aid; 82 percent received some sort of needs-based financial assistance in a recent year at an average amount of $5,359. Indeed, according to a 2015 AAUP report, 73 percent of Grambling students received Pell grants, the highest rate among all Louisiana's four-year colleges and universities. In my view, Grambling graduates' high debt load cannot be justified. 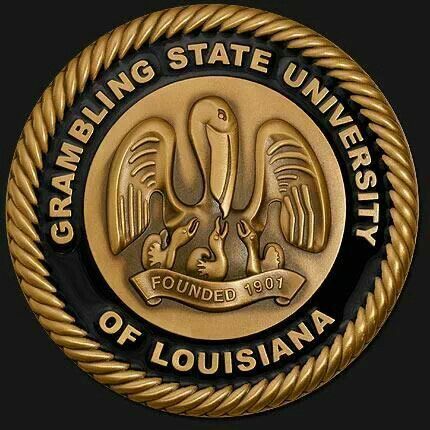 Grambling is located in rural Louisiana where the cost of living is low. Tuition is relatively modest; and a high percentage of Grambling students receive needs-based student aid. How is it possible for Grambling graduates to rack up more than $50,000 in student-loan debt? Not surprisingly, Grambling graduates are having difficult paying back their loans. Grambling's three-year default rate for its FY 2013 cohort is 17.7 percent, and of course that rate doesn't count people who have their student loans in deferment or forbearance and aren't making payments. According to a very useful report compiled by Monroe College, only 40 percent of Grambling's former students were making any progress on paying down their loans five years into the repayment period. Grambling is a historically black university and a public institution that is partly supported by Louisiana taxpayers. Everyone supports the mission of the HBCUs, but we are not doing African Americans any favor if we allow them to enroll at an institution where graduates leave school with more than $50,000 in debt--debt that a high percentage of former Grambling students cannot pay back. It is also worth noting that GSU's 4-year graduation rate is only 11 percent, and that the university ran an operating budget deficit for five consecutive years (FY 2011-2015). Willie Larkin, Grambling's president at the time, wrote an open letter in February 2016, in which he said that Grambling was "fighting for her life." Larkin reported that Grambling faced an operating budget deficit of more than $5 million when it began the 2015-2016 academic year and an even larger deficit in the athletic budget: $5,746,321. Surely it is time to ponder whether the public investment in Grambling is paying off, not only for the people of Louisiana as a whole, but for Grambling's students. Or perhaps we don't care enough about the African American students who attend Grambling to ask some probing questions about why they leave school with so much student debt. Postscript: Four months after writing an open letter stating that Grambling was "fighting for her life," Willie Larkin resigned as president of GSU. Howard Bunis. Overview of the Financial Situation for Higher Education in Louisiana. American Association of University Professors, May 2015. Greg Hilburn and Bob Lenx. Update: Grambling President Larkin resigns. thenewsstar.com, June 23, 2016. Marc Jerome to Jea-Didier Gaina. Letter regarding proposed defense to repayment rule. Docket Number ED-2015-OPE-0103. August 1, 2016. Willie Larkin. Grambling State University Is Fighting For Her Life. February 22, 2016. Louisiana Legislature Auditor. Grambling State University Report Highlights. Audit Control # 80150088. December 2015. Delece Smith-Barrow. 10 Colleges Where Grads Have High Debt. U.S. News World Report, July 4, 2017. I’m still waiting to be pleasantly surprised by the Trump Department of Education (ED) under Secretary DeVos. It has not happened yet. From the recent actions to remove critical information from consumer notices to wanting to get a single loan servicer to handle all federal loans, the current incarnation of ED seems to be moving in a direction that provides less support and help for debtors. So the current ED is going to start over again and says, “The Department plans to publish its Notice of Intent to Conduct Negotiated Rulemaking on BDR and GE in the Federal Register on June 16, 2017. The Department will conduct public hearings on BDR and GE on July 10, 2017, in Washington, D.C. and July 12, 2017, in Dallas, Texas.” Goodness knows how long this new process if going to take and what opportunities student loan debtors will have to actually have their loans discharged due to misrepresentation by colleges and schools who received federal student loans. What do you think, should schools who misrepresented the success of their programs or actual employment rates to induce students to enroll, get a free pass and eliminated from the new rules? Let me know what you think by posting your comment below. Even under the old administration the Borrower Defense to Repayment processing was less than optimal. There are students that have been waiting years for a conclusion to their claims and the next changes will only serve to slow down the entire process of assisting harmed student loan debtors. As an example, ED previously said they had ” received a total of approximately 82,000 claims.” And while a previous report on the status of the program said 16,000 had been processed and approved, the current ED press release says, “Nearly 16,000 borrower defense claims are currently being processed by the Department, and, as I have said all along, promises made to students under the current rule will be promises kept,” said Secretary DeVos. So where are the rest of the claims? College of New Rochelle failed to pay federal payroll taxes for about two years: Will anyone be held accountable? College of New Rochelle, a Catholic college located in Westchester County, New York, announced last fall that it had failed to pay federal payroll taxes for about two years and that it owed approximately $20 million in unpaid taxes. A close examination of the college's financial picture also revealed that the college owed an additional $11.2 million to other creditors. Paying federal payroll taxes is required by federal law; and failure to do so can lead to big trouble. The Internal Revenue Service can impose fines and even jail time for wilful failure to pay those taxes. The college released a statement in November suggesting that the college's former controller, Keith Borge, was responsible for the error. Borge retired as controller of the college in May 2016. Without identifying Borge by name, college leaders said that the financial irregularity came to light only after the controller retired at the end of the 2015-2016 academic year. Apparently, the college's auditor did not discover this mammoth financial problem for some time, which is curious. The College of New Rochelle's auditing firm was KPMG, a highly reputable global auditing firm with an reputation for competence and integrity. CNR's president, Judith Huntington, stepped down shortly after the college announced its financial crisis. Huntington said she relied on the controller to manage the college's financial affairs, which is reasonable. But Huntington is herself a CPA and was employed for 15 years at KPMG as a senior audit manager. She's also the director of a major bank. According to Bloomberg, Huntington served as a bank director at Signature Bank during the same time she was president of CNR. Apparently being a college president is only a part-time job. At least one more senior administrator departed CNR after the financial scandal broke. Betty Roberts, Vice President of Finance, terminated her employment at the college sometime in late 2016. According to a news story, Roberts came to CNR after serving in a similar position at Alcorn State University, a Mississippi HBCU that was under investigation by the Mississippi state auditor's office. Will anyone be sued over this massive scandal? I doubt it. Little can be gained by suing individuals, who do not likely have the resources to pay any judgment that might result. And anyone who gets sued for the big screw up at the College of New Rochelle will likely implicate others. How about KPMG? Can KPMG be sued for failing to pick up CNR's massive tax liability more quickly? Perhaps, but Huntington and KPMG undoubtedly have close ties stemming from her 15 years as a senior audit manager for the firm. And there may be lots of good reasons why the college might demur from suing a very powerful global firm. So let's just rack this incident up as an unfortunate episode in the institutional life of the College of New Rochelle. 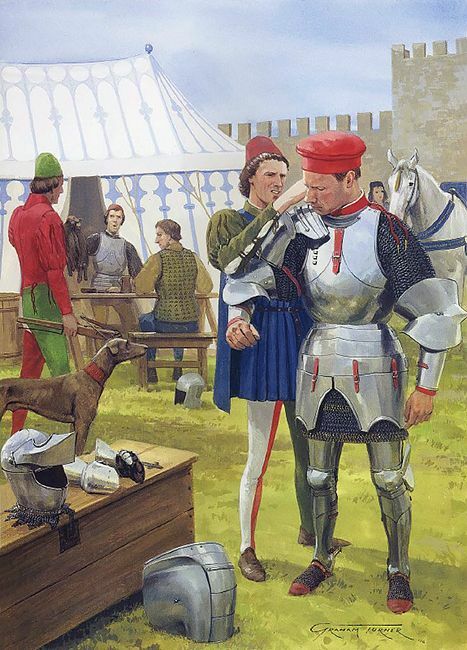 "Least said, soonest mended," as the old saying goes. But then there is the matter of a mysterious $5 million donation to CNR, which was made anonymously after the scandal broke. This quick cash will buy CNR some time to get its financial house back in order. What party would make a $5 million anonymous gift to a college that may not survive this huge financial crisis? Perhaps the money is not completely a gift. Perhaps the donation was an exchange by some interested party for a covenant not to sue. We will never know. At KPMG, our promise of professionalism to each other, our clients and the capital markets we serve compels us to align our culture of integrity with our values, words and actions. This is the same KPMG that was auditor for Wells Fargo when the bank created two million bogus accounts. Robert Earl Keen is right: "The road goes on forever and the party never ends." Judith Huntington. Executive Profile. Bloomberg.com (last visited July 2, 2017). Associated Press. Alcorn State President Christopher Brown Resigns Amid Investigation. Gulflive.com, December 19, 2013. Sarah N. Lynch. Lawmakers question quality of KPMG's Wells Fargo audits. Reuters, April 25, 2017. Vani Murthy. The consequences of wilful failure to pay payroll taxes. Journal of Accountancy, June 1, 2014. Jonathan Ortiz. College of New Rochelle Financial Probe Finds Millions in Unpaid Taxes. Westchester, Magazine, November 2, 2016. Colleen Wilson. $5 million boost for struggling College of New Rochelle. USA Today, December 16, 2016. Colleen Wilson and Mark Lungariello. Another finance official out at College of New Rochelle. Lohud.com, November 22, 2016. The penalties for failing to pay over trust fund taxes can be severe and sometimes include prison time.